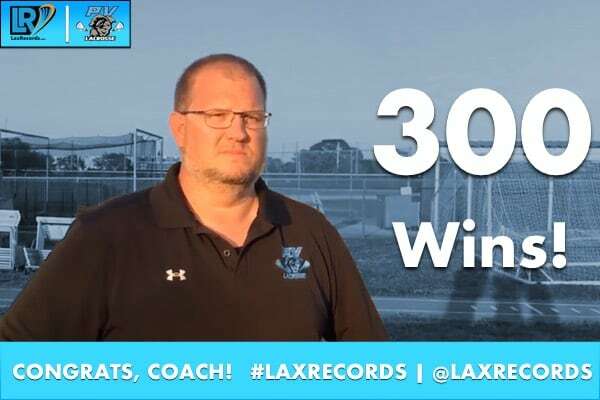 Ponte Vedra head coach Tom West won his 300th career game on Monday, Feb. 6. 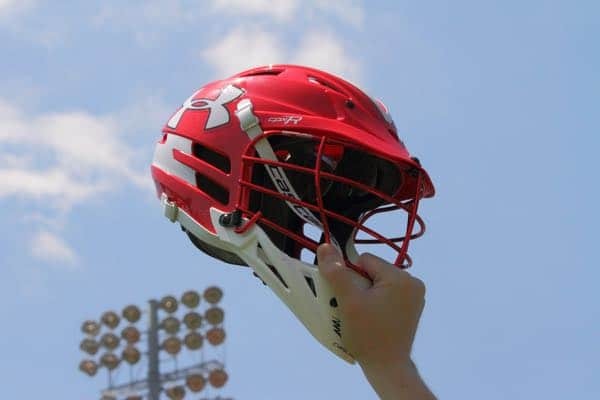 Each day players, teams and coaches earn a spot on the Best Known Lacrosse Performances and LaxRecords.com posts a daily item acknowledging the achievement. Don’t want to miss a story during the week? Sign up for our weekly newsletter or check us out on Facebook, Twitter and Instagram. If you send in stats to a media outlet, feel free to add LaxRecords.com to the list: mloveday@laxrecords.com. Ponte Vedra (Fla.) head coach Tom West won his 300th career game in the Sharks opening game of the 2017 season. Ponte Vedra defeated Timber Creek (Fla.) 21-3 on Tuesday. West, who is in his ninth season as Ponte Vedra’s head coach has a career record of 300-75. Keep tabs on all the best known high school boys’ lacrosse performances that are added each day with the daily Best Known Lacrosse Performances list. Each day as players, teams and coaches earn a spot on the overall list, LaxRecords.com posts a daily item acknowledging the achievement. LaxRecords.com aims to compile the best known records in high school lacrosse. Among the lists are the most career wins by a high school lacrosse coach. Also included are most career points, goals, assists and saves by a high school lacrosse player. Team performances for most state sanctioned championships and consecutive wins are also tracked. Some records are incomplete. I solicit help from the lacrosse community to fill the missing gaps. If there is a performance or player missing, please email me at mloveday@laxrecords.com or send me a Tweet at @LaxRecords. According to US Lacrosse, lacrosse is the fastest-growing sport in the nation. Just under 300,000 players competed on varsity, junior varsity, freshman and club teams. According to the National Federation of State High School Associations, from 2009 to 2014, a total of 551 schools added boys’ programs, resulting in a growth rate of 27.8 percent for boys’ lacrosse. US Lacrosse produces a participation report annually since 2001, and over that time span the number of players has grown 204 percent, from 253,901 to 772,772. This survey counts only play on organized teams, and does not count leisure-time play of the sport.